Is there a more awesome arena to put a tent through its paces than on a road trip from Texas to the legendary Grand Canyon? 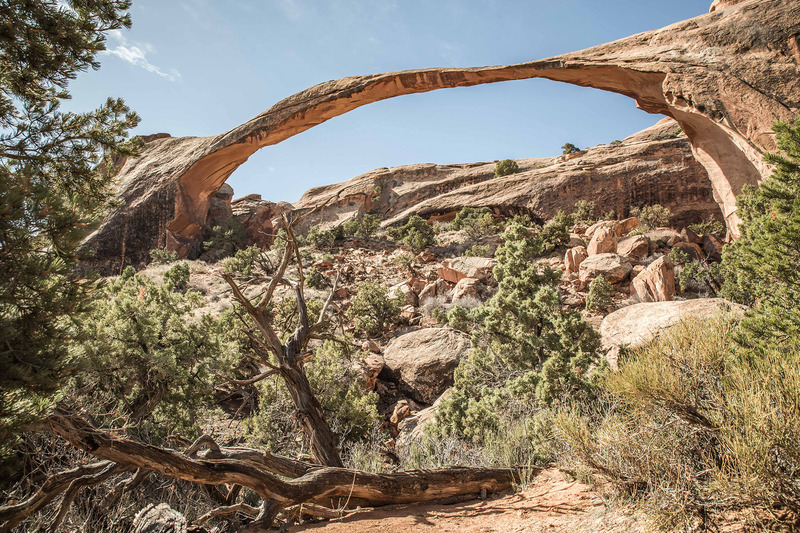 On my two-week trip, there were plenty of opportunities to ditch the car and explore on foot the various national parks on the way. My backpack was filled to the brim with camera equipment: camera, lenses, tripod, and then there were also camping mat, sleeping bag and food. It was already an enormous load on my back, and I still needed a tent, one of the most important items for camping out under the stars. 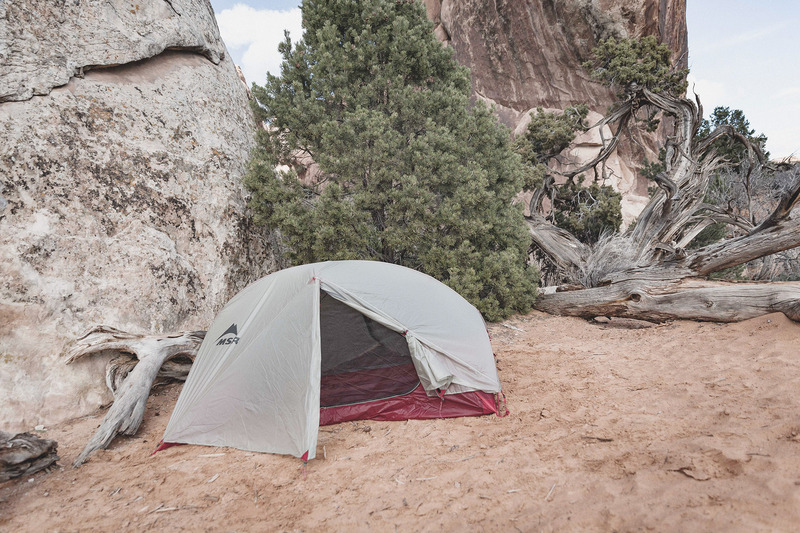 The FreeLite 2 is the newest tent from MSR’s range of lightweight backpacking tents. 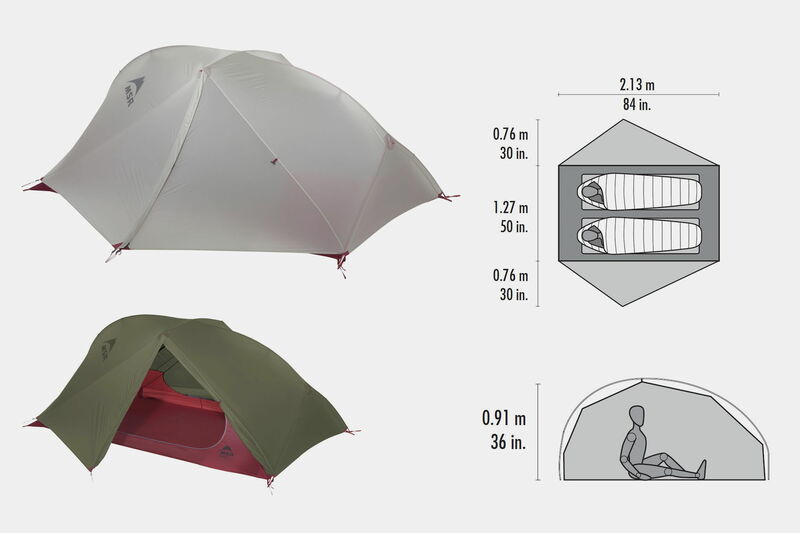 It is a 3-season tent designed especially for the people for whom every gram counts. 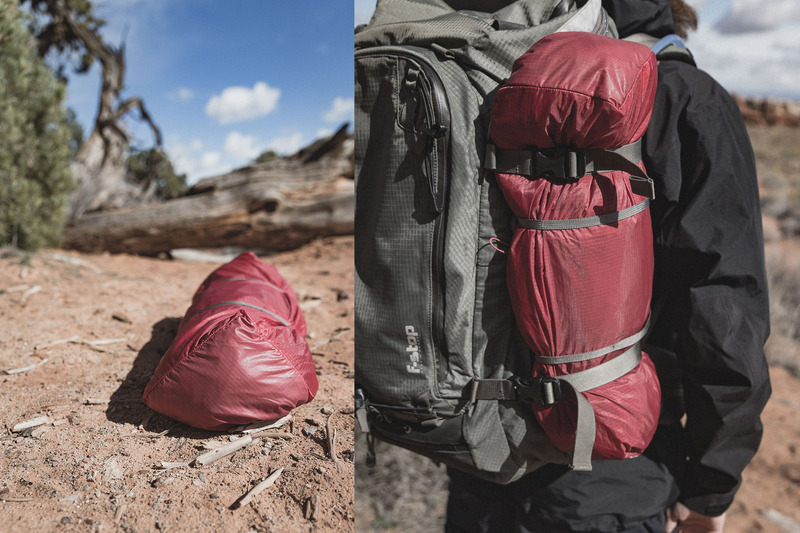 The FreeLite 2 is not only extremely light, weighing only 1.3 kg, it also has a tiny pack mass of only 46×15 cm, making it perfect for all trips, be it kayaking, climbing or cycling. I couldn’t think of anything better for my trip, loaded down as I was with camera equipment. Indeed, attached to the outside of my backpack, I hardly noticed the extra weight at all. 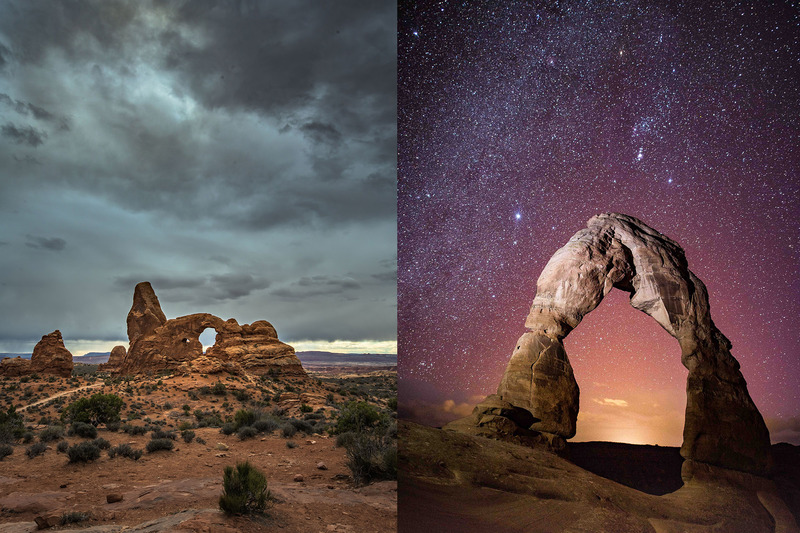 My first night in the tent was in Arches National Park in Utah. The light sandy ground was perfect for my first campsite. Admittedly the first time setting up any new tent is always a little complicated. 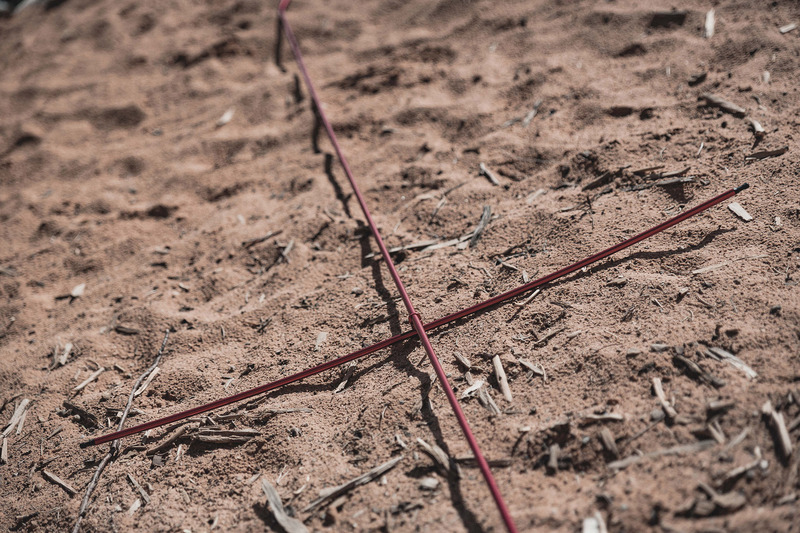 Which rod goes where, which side is left, which side is right? Even so, I got the inner tent up incredibly fast. 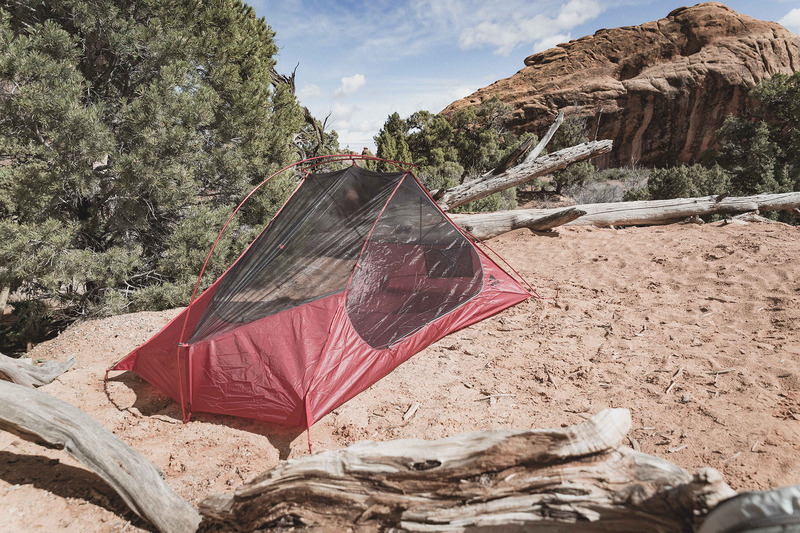 In warm climates, the inner tent can also be used as a stand-alone tent, the light micromesh material protects against mosquitos and allows for a good ventilation. 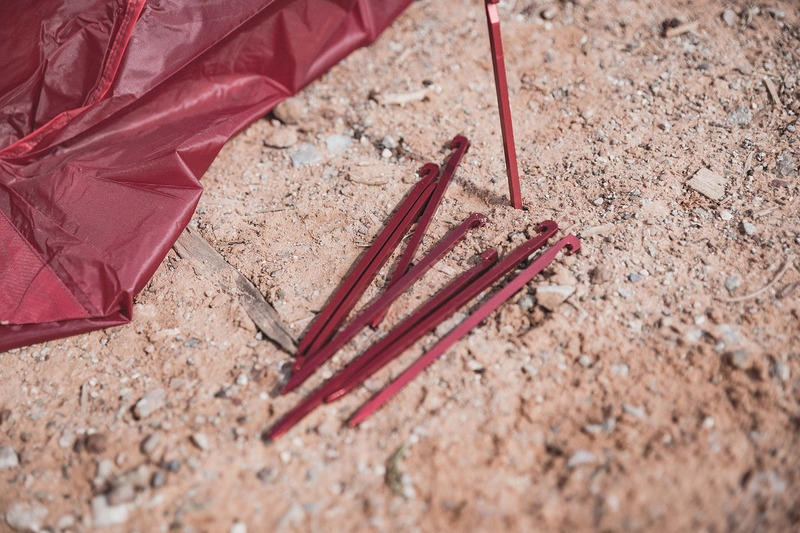 Attaching the rainfly to the tent frame was also quite simple and intuitive. The thin poles are surprisingly sturdy and form a robust dome, despite having only 3 contact points to the ground. 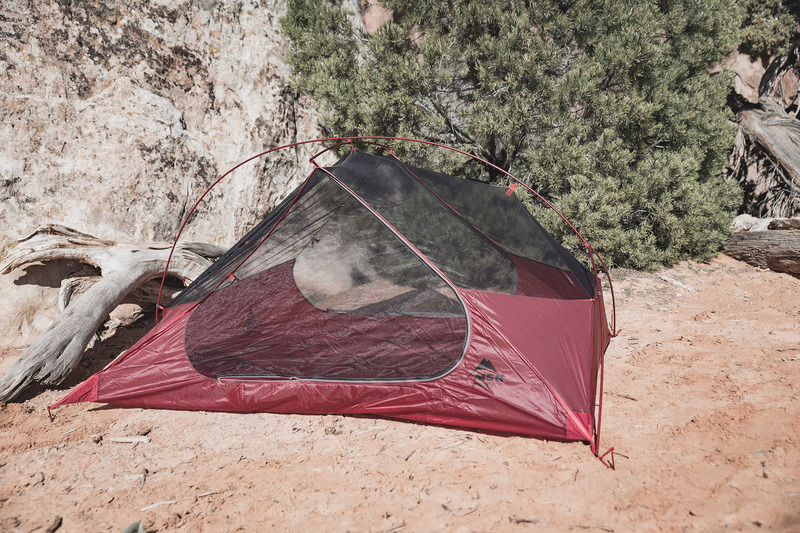 You can really notice how much experience MSR has brought to the design of this tent. 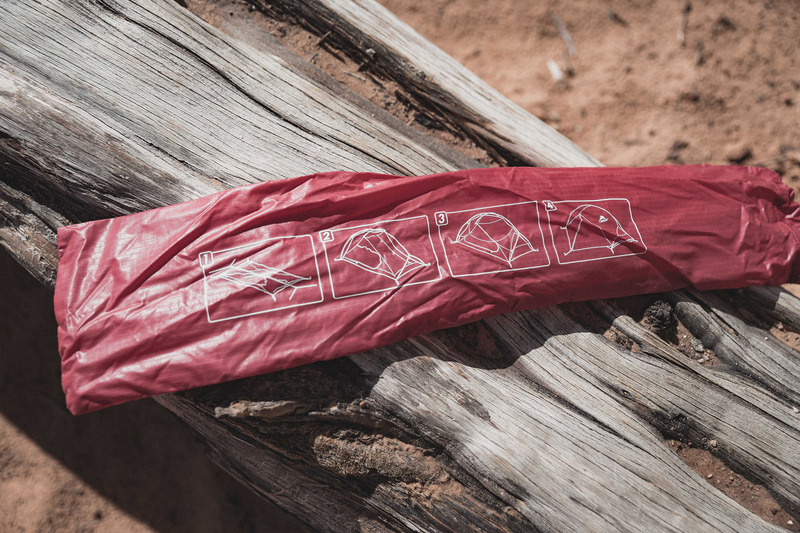 Everything fits together and there are no superfluous clips or loops, making the tent a lot of fun to put up. The first time pitching the tent took me just under 10 minutes. The second time, only 5 minutes. Of course the design of the FreeLite is quite Spartan, but that is the whole concept behind its lightness. The FreeLite Version 2 offers enough room for 2 average adults. There is room inside for small bags but larger bags have to be stored in the vestibule. The FreeLite 2 has two large entrances on the two long sides. These are particularly practical as it gives each person their own separate access. Also, the two vestibules also offer more storage space for bags and equipment. The first night in a new tent is always very exciting, even if was a short one for me; I had to be off again at dawn. I would have loved to have had a bit more of a lie in—still I slept very well. 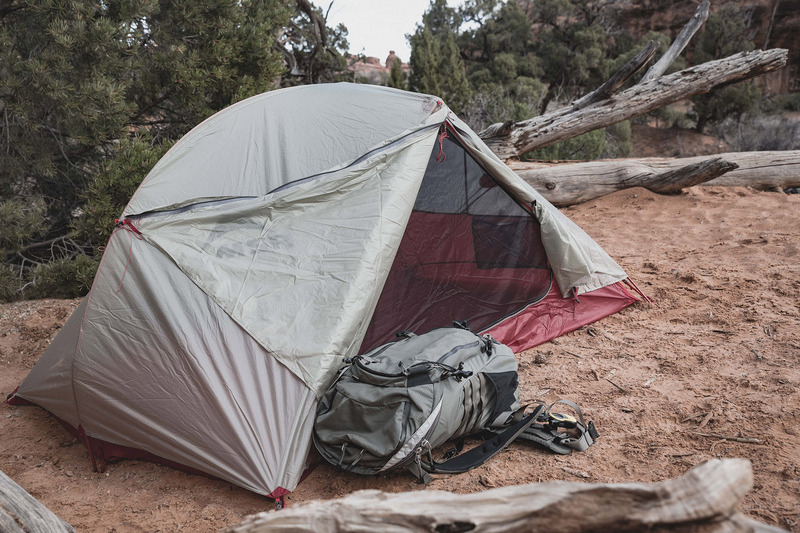 To be honest, I’ve seen and tried a lot of double-wall tents in the past, but none of them have been as light and versatile as the FreeLite 2. 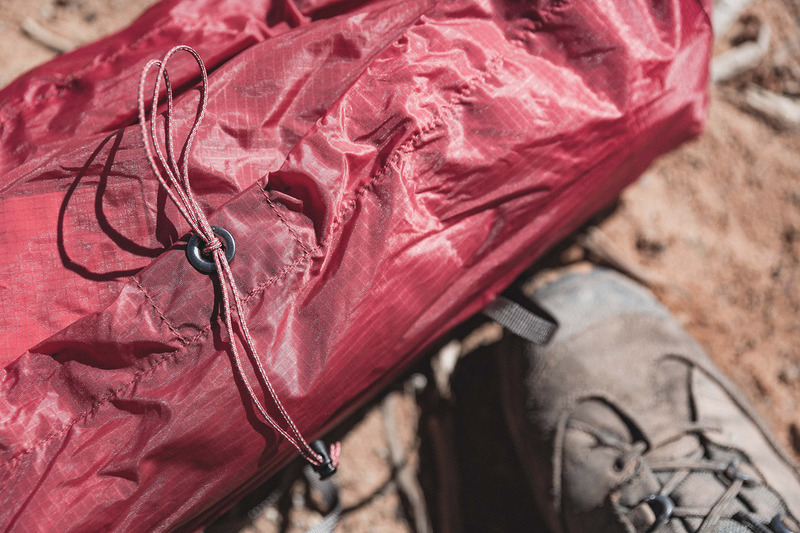 Of course it comes with a higher price tag but anyone who is planning longer treks where they have to carry their tent from morning to night will be happy to spend a few more euros to save on weight and on energy without compromising on comfort. After all, you have to have fun on these trips, and a good night’s sleep is part of it! 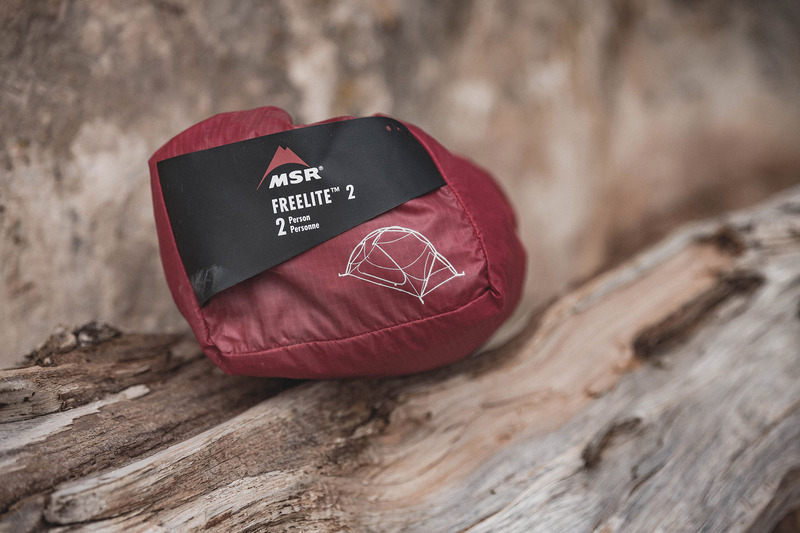 Conclusion: The FreeLite 2 from MSR is the ideal tent for all outdoor enthusiasts planning longer trips and needing to minimise the weight of their equipment. 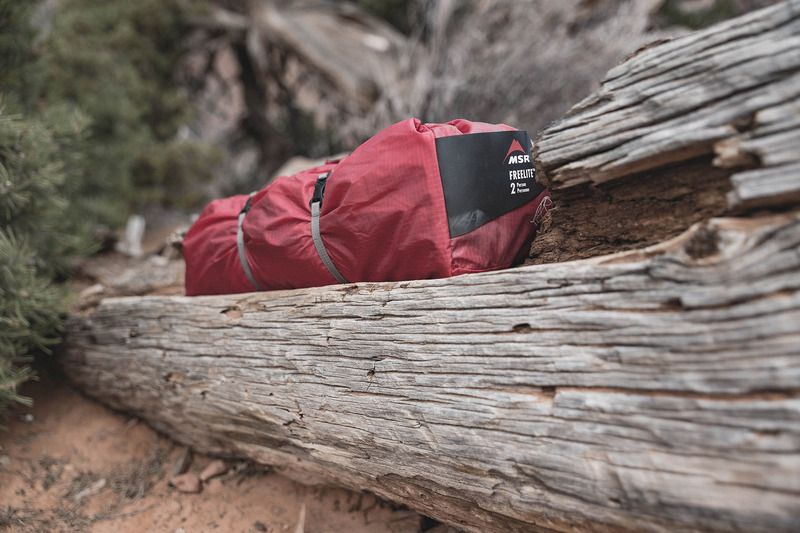 It is an ultralight all-rounder that performs well in all conditions, and look great at the same time.